Clogged filters hinder the HVAC system’s ability to run properly. You should check your air filters once every month, especially if you use the unit frequently. Replace the filter once every 90 days to ensure it remains clear enough to keep your HVAC system running properly. Clean filters allow your HVAC system to use energy as efficiently as possible. Before you really start to use your HVAC system for the unit, you should walk outside and make sure there are no leaves or other debris that might hinder the unit. You should also make sure there is at least 2 feet of clear space around the exterior units. When you live in Tucson, you rely heavily on the cooling part of your HVAC system. Checking the levels of the air conditioning refrigerant to ensure that the cooler works as efficiently as possible. It is important to have the right amount or your unit might not be working to its fullest potential. At least once a year, you should hire some HVAC professionals to come out and look at your system. They can go through the unit and make sure all of the parts are working well together to keep your system running properly all throughout the year. 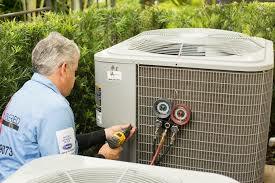 Russett Southwest is here to handle all of your heating and cooling needs. 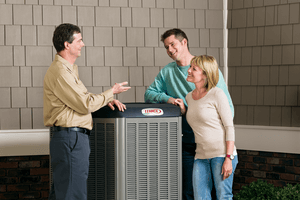 From heating and cooling maintenance and repair to replacing broken systems, we make sure your home is always equipped with the most efficient heating and cooling systems. To learn more about our services or to schedule a visit, check out our website or call (520) 629-9676. Just as your car needs its regular tune-up, your heating and cooling system also needs regularly scheduled maintenance in order to function properly. It’s the only way your HVAC system can deliver consistent comfort to your home throughout its life span. Here are just a few reasons why preventative maintenance is the best way to take care of your system. According to the U.S. Department of Energy, the average HVAC system offers a 15- to 20-year life cycle, while a gas or oil furnace is capable of lasting up to 25 years. Regular HVAC maintenance ensures that your system lives up to its potential. When that maintenance isn’t being performed, you can expect a much shorter life span. Not taking advantage of regular maintenance could easily add hundreds or even thousands of dollars to your cumulative operating costs throughout the life of the system. Keeping your HVAC system in good shape also means improving its energy efficiency and keeping your energy costs low. HVAC system issues that go unaddressed can cause greater wear and tear on your system, resulting in more energy needed to deliver the same amount of comfort than a comparatively better-kept system. Increased energy usage leads to increased energy bills over time, resulting in higher running costs. HVAC system expenses account for as much as 50% of a typical household’s energy budget. Regularly scheduled maintenance helps reduce expenses while improving overall performance. From changing air filters to routine maintenance, Russett Southwest has a preventative maintenance package for you. To learn more contact the experts at Russett Southwest. 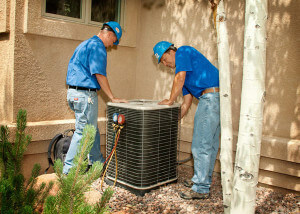 We help Tucson homeowners handle all of their heating and cooling needs! Contact us at (520) 629-9676 or russettsouthwest.com to get started. Before inviting an HVAC Contractor into your home, it’s important to do your research. 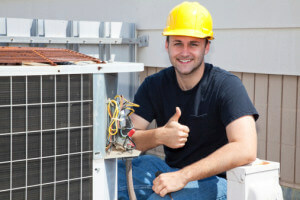 The best HVAC contractors are experienced, skilled and focus on the needs of you and your home when providing services and recommending equipment. Here are some tips for finding the best HVAC contractor for you! Ask for referrals. Ask your friends and neighbors what HVAC company they use and ask them to describe their experience and level of satisfaction. Take a look at their Better Business Bureau grade and reviews. The Better Business Bureau sets standards for ethical business practices and helps consumers identify trustworthy businesses. You can check out your potential HVAC Company online at your local Better Business Bureau website. Check out online reviews: What kind of reviews does the company have on Facebook? Angie’s List? Home Advisor? Check licenses and verify qualification. 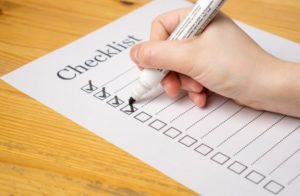 Here are some suggested questions to ask the potential contractor: Are you registered with your city and state to do heating and air conditioning work? Do you have copies of your current licenses or certifications I can see? How many years of experience do the technicians have? Ask for and call references. A professional contractor will have a list of past and current clients you could reach out to for more information. Be sure to ask the following questions in order to obtain a proper evaluation of how their projects came together: Did the contractor communicate throughout the process? How would you describe the quality of the work that was done? How would you rate the technician’s customer service? Russett Southwest is here to help you with all of your heating and cooling needs. We’ve been proudly serving the Tucson and surrounding areas for over 70 years! Our technicians are experienced, professional and non-commissioned which means the best service for you and your home! To learn more visit, us online at russettsouthwest.com or call (520) 629-9676. A Resolution for The New Year-Maintenance! Check the air filter for your heating and air conditioning system each month and replace your filter when necessary, or clean it if you have the washable type. Most air filters are designed to protect your heating and air conditioning system; and a dirty filter will cause excessive wear on your furnace, air conditioner or heat pump. Keeping your air filter clean will help extend your system’s longevity and help your system perform at its peak efficiency. We know that servicing your filter can be difficult, so schedule a filter service with us and we’ll take care of it for you. Keeping the equipment in your home operating at peak performance is important, and has been proven to prolong the efficiency and life span of your system(s). Russett Southwest offers a variety of maintenance agreements to help you make that happen including our Peak Performance Service. The benefits of this program include a twice-yearly inspection of the equipment in your home, typically in the spring and fall, to ensure your home is ready for the summer and winter seasons. Our courtesy priority scheduling allows you to relax and let us call you when it’s time for your service visit. According to the U.S. Department of Energy, the average HVAC system offers a 15- to 20-year life cycle, while a gas or oil furnace is capable of lasting up to 25 years. Regular HVAC maintenance ensures that your system lives up to its potential. When that maintenance isn’t being performed, you can expect a much shorter life span. Not taking advantage of regular maintenance could easily add hundreds or even thousands of dollars to your cumulative operating costs throughout the life of the system. Keeping your HVAC system in good shape also means improving its energy efficiency and keeping your energy costs low. HVAC system issues that go unaddressed can cause greater wear and tear on your system, resulting in more energy needed to deliver the same amount of comfort than a comparatively better-kept system. Increased energy usage leads to increased energy bills over time, resulting in higher running costs. HVAC system expenses account for as much as 50% of a typical household’s energy budget. Regularly scheduled maintenance helps reduce expenses while improving overall performance. From changing air filters to routine maintenance, Russett Southwest has a preventative maintenance package for you. To learn more contact, the experts at Russett Southwest. We help Tucson homeowners handle all of their heating and cooling needs! Contact us at (520) 629-9676 or russettsouthwest.com to get started.